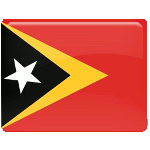 East Timor is a small island country in Southeast Asia. It became a Portuguese colony in the 16th century. Following the Carnation Revolution in Portugal and the beginning of the decolonization, East Timor declared its independence on November 28, 1975. Nine days later, neighboring Indonesia invaded East Timor and incorporated it as its 27th province in July 1976. Indonesian occupation of East Timor lasted for over two decades. During the occupation, between 90,000 and 200,000 people died from violence and enforced starvation. During the first years of Indonesian occupation, a group of organizations and individuals formed the National Council of Maubere Resistance, an umbrella organization dedicated to resisting the occupation. Another organization that resisted the occupation was the Revolutionary Front for an Independent East Timor (FREITLIN). Both organizations lost a lot of members during the independence struggle. Their memory is honored on December 31 every year. Originally, National Heroes Day was observed on December 7 (the anniversary of the beginning of the occupation), but it was moved to December 31, and December 7 is now observed as Memorial Day.